Michael Chai & Co. was established in 1994 and has grown from a two lawyer firm into a medium size law firm today, providing a full range of legal services to a wide range of large multinationals, public limited companies as well as private businesses, financial institutions and individuals. The Firm believes in quality client service, and maintains a positive and lasting relationship with a multitude of clients through this philosophy. The Firm’s lawyers are trained in a multi-disciplinary legal practice and are dynamic, dedicated, knowledgeable, practical and fully committed to expeditiously meeting the specific needs of each client, without any compromise on integrity and quality. The Firm emphasizes quality legal services, personal attention and swift response to the client's requirements. All the Firm's lawyers are Advocates and Solicitors of the High Court of Malaya. Some are also qualified in other jurisdictions including England and Wales, Australia and Singapore. The Firm’s offices are located in the commercial city centre of the Malaysian capital, Kuala Lumpur. The Firm utilizes the latest technological aids to assist and enhance its services to the clients. The Firm maintains extensive global legal network links with foreign law firms and agencies. 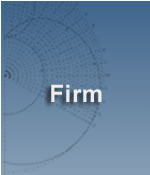 The Firm is an active member of the International Trademark Association (INTA), the Asian Patent Attorneys Association (APAA), the Licensing Executives Society International (LESI), the Association Internationale Pour La Protector De La Propriale Industrielle (AIPPI) and the Asean Intellectual Property Association (AIPA).